Matilda Holcombe was the daughter of Simeon Holcombe and Hulda Holcombe. Simeon Holcombe II was born in 1777. He was the son of Simeon Holcombe and Hulda Holcombe. Simeon Holcombe II married Belinda Andrews, daughter of Asahel Andrews Jr., on 4 April 1798. [S25] Hannah McPherson, Holcombe Genealogy, Page 130/Item A-8-1-2-8-3. Belinda Andrews was born on 12 January 1781 at Granby, Hartford Co., CT. She was the daughter of Asahel Andrews Jr. Belinda Andrews married Simeon Holcombe II, son of Simeon Holcombe and Hulda Holcombe, on 4 April 1798. Schuyler is recorded in the 1850 census of Granby as a carpenter. Schuyler Holcombe was born in 1800 at Granby, Hartford Co., CT. He was the son of Simeon Holcombe II and Belinda Andrews. Schuyler Holcombe married Denzie A. Brown on 25 June 1820 at Simsbury, Hartford Co., CT.2 Schuyler Holcombe married Laura Bacon. Schuyler Holcombe married Mary A. Roberts on 18 May 1861. Schuyler Holcombe died on 26 November 1870. He was buried at Simsbury, Hartford Co., CT.
[S25] Hannah McPherson, Holcombe Genealogy, Page 130.2/Item A-8-1-2-8-3-1. [S45] Albert C. Bates, Simsbury, Page 281. Newton Holcombe was the son of Simeon Holcombe II and Belinda Andrews. Newton Holcombe married Jane Pattison. [S25] Hannah McPherson, Holcombe Genealogy, page 131.1/Item A-8-1-2-8-3-2. George Holcombe was the son of Simeon Holcombe II and Belinda Andrews. Widow Almira Holcomb was enumerated in the 1850 Paris, Portage Co., OH, federal census. She was 46. Children in the household were Fidelia, Laura, Albert 12, Jefferson 10, and West 7. Lucy and her husband Orra Lane were also in the household. Wesley Holcombe was the son of Simeon Holcombe II and Belinda Andrews. Wilson Holcombe was the son of Simeon Holcombe II and Belinda Andrews. Loovin Holcombe was the child of Simeon Holcombe II and Belinda Andrews. Perry Holcombe was the son of Simeon Holcombe II and Belinda Andrews. James Holcombe was the son of Simeon Holcombe II and Belinda Andrews. Eveline Holcombe was the daughter of Simeon Holcombe II and Belinda Andrews. Edward Holcombe was the son of Schuyler Holcombe and Denzie A. Brown. Edwin Holcombe was the son of Schuyler Holcombe and Denzie A. Brown. Laura was a widow when she married Schuyler. Laura Bacon married Schuyler Holcombe, son of Simeon Holcombe II and Belinda Andrews. Calkins Holcombe was the child of Schuyler Holcombe and Laura Bacon. McPherson just calls her Almira, Ruth Duncan calls her Almira Dency. Duncan also says her mother is Almira but McPherson does not list a wife Almira. McPherson says she married Edwin Case. Almira Dency Holcombe was born on 12 February 1835 at Simsbury, Hartford Co., CT. She was the daughter of Schuyler Holcombe and Laura Bacon. Almira Dency Holcombe married Jason Edwin Case, son of Jason Case and Zillah Holcombe, on 1 April 1849 at Simsbury, Hartford Co., CT. Almira Dency Holcombe died on 21 May 1875 at Glastonbury, CT, at age 40. Charity Holcombe was born circa 1840 at Simsbury, Hartford Co., CT. She was the daughter of Schuyler Holcombe and Laura Bacon. Mortimer Holcombe was also known as George Mortimer Holcombe. He was born in 1838 at Simsbury, Hartford Co., CT. He was the son of Schuyler Holcombe and Laura Bacon. Mortimer Holcombe died on 22 March 1905 at Hartford, Hartford Co., CT. He was buried at Spring Grove Cemetery, Hartford, Hartford Co., CT.
McPherson notes that the 1850 Hartford Co. census has this Mortimer recorded twice. The 1860 Granby, Hartford Co., CT, census has a Mortimer, age 21 with wife Augusta. The 1870 Granby, Hartford Co., CT, census has a Mortimer A. Holcombe, age 33, working in a shoe shop, in the household of Lemuel Dewey. The funeral of George Mortimer Holcomb, who died Wednesday, will be held at 2 o"clock tomorrow afternoon at the house, No. 1113 Main street, and the burial will be in Spring Grove Cemetery. Consumption was the cause of death. Mr. Holcomb, was 66 years of age, had been employed a number of years by Bill Brothers and also by the Plimpton Manufacturing Company, his connection with the two concerns aggregating more than a qurter of a century. He leaves a wife, a grandson, George Francis Holcomb, and a nephew, A. David Case; all of Hartford. Rensselaer Holcombe died in 1847 at Simsbury, Hartford Co., CT. He was born in 1847 at Simsbury, Hartford Co., CT. He was the son of Schuyler Holcombe and Laura Bacon. Mary was the widow of Chauncey Hunter. Mary A. Roberts married Schuyler Holcombe, son of Simeon Holcombe II and Belinda Andrews, on 18 May 1861. Jason Edwin Case was born on 20 November 1819 at Simsbury, Hartford Co., CT. He was the son of Jason Case and Zillah Holcombe. Jason Edwin Case married Almira Dency Holcombe, daughter of Schuyler Holcombe and Laura Bacon, on 1 April 1849 at Simsbury, Hartford Co., CT.
Jason E. and Almira were enumerated in the 1850 Granby, Hartford Co., CT census in the household of Schuyler Holcombe. [S101] Ruth Cost Duncan, John Case, Pages 92, 141/Item 391. Jane was the widow of Andrus. Jane Pattison married Newton Holcombe, son of Simeon Holcombe II and Belinda Andrews. George Newton Holcombe was born on 24 July 1861 at Simsbury, Hartford Co., CT. He was the son of Newton Holcombe and Jane Pattison. George Newton Holcombe married Emma Chloe Dibble, daughter of Asa Dibble and Ellen Wetherby, on 24 December 1885. George Newton Holcombe died on 16 December 1947 at Westfield, Hampden Co., MA, at age 86. John Dionne provides some of the following information based on a handwritten genealogy by Edith Elizabeth Holcomb. John Dionne, 48 Murray Ave., Westfield MA 01085. [S25] Hannah McPherson, Holcombe Genealogy, Page 131.1/Item A-8-1-2-8-3-2-1. James Holcombe was born in March 1863. He was the son of Newton Holcombe and Jane Pattison. Jane Holcombe was born in 1865. She was the daughter of Newton Holcombe and Jane Pattison. Henry Holcombe died young. He was the son of Newton Holcombe and Jane Pattison. Emma Chloe Dibble was born on 30 December 1869 at East Granby, Hartford Co., CT. She was the daughter of Asa Dibble and Ellen Wetherby. Emma Chloe Dibble married George Newton Holcombe, son of Newton Holcombe and Jane Pattison, on 24 December 1885. Emma Chloe Dibble died on 22 August 1945 at Westfield, Hampden Co., MA, at age 75. Chloe Louisa Holcombe was born on 15 January 1887 at East Granby, Hartford Co., CT. She was the daughter of George Newton Holcombe and Emma Chloe Dibble. Chloe Louisa Holcombe married Henry G. Dibble, son of George W. Dibble and Ellen Walters. Chloe Louisa Holcombe died on 23 December 1931 at Southwick, Hampden Co., MA, at age 44. [S161] Carol A. Laun, Granby Center Cemetery, Page 76. [S25] Hannah McPherson, Holcombe Genealogy, Page 131.1/Item A-8-1-2-8-3-2-1-1. George Newton Holcombe Jr. was born on 25 March 1889 at East Granby, Hartford Co., CT. He was the son of George Newton Holcombe and Emma Chloe Dibble. George Newton Holcombe Jr. married Pearl Etheyln Goss on 24 November 1909 at Meriden, CT. George Newton Holcombe Jr. died on 13 April 1950 at Southwick, Hampden Co., MA, at age 61. John Dionne provides the following information based on a handwritten genealogy by Edith Elizabeth Holcomb. [S25] Hannah McPherson, Holcombe Genealogy, Page 131.1/Item A-8-1-2-8-3-2-1-2. John Dionne provides the following information based on a handwritten genealogy by Edith Elizabeth Holcomb. 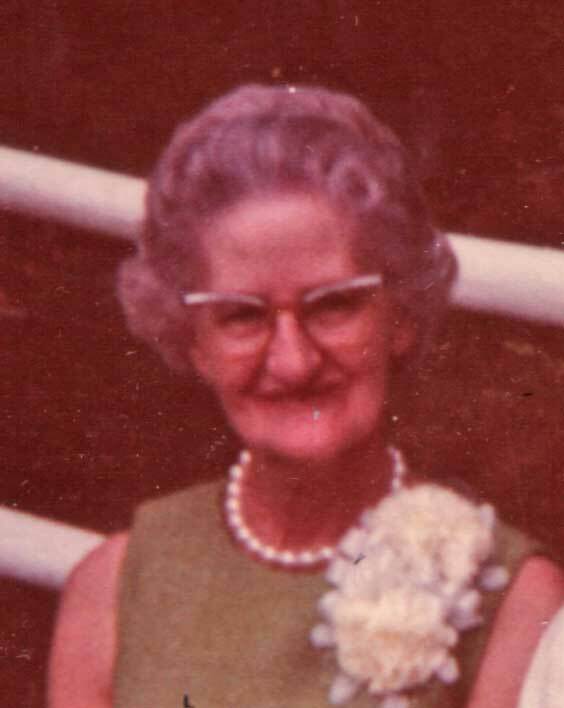 Arabelle May Holcombe was born on 8 August 1891 at East Granby, Hartford Co., CT. She was the daughter of George Newton Holcombe and Emma Chloe Dibble. Arabelle May Holcombe married Wilfred Liberty, son of Serge Liberty and Mary Duquette, on 19 February 1914 at Southwick, Hampden Co., MA. Arabelle May Holcombe died on 15 September 1981 at Westfield, Hampden Co., MA, at age 90. [S25] Hannah McPherson, Holcombe Genealogy, Page 131.1/Item A-8-1-2-8-3-2-1-4. Lawrence Holcombe was born on 6 April 1894 at East Granby, Hartford Co., CT. He was the son of George Newton Holcombe and Emma Chloe Dibble. Lawrence Holcombe married Lucia Frances Gleason on 18 July 1916 at Wardsboro, VT. Lawrence Holcombe died on 7 May 1964 at age 70. John Dionne, jdionne105@aol.com, provides the following information based on a handwritten genealogy by Edith Elizabeth Holcomb. WESTFIELD - Lawrence Holcomb, 70, of 2 Marjorie St., retired veteran Park Department working foreman, died Thursday at Noble Hospital. He was born in East Granby April 6, 1894, son of George N. and Mrs. Emma C. (Dibble) Holcomb, and was the husband of Mrs. Lucia (Gleason) Holcomb. Mr. Holcomb retired in April 1963, from the Park Department after 30 years of service. He was commonly referred as the department's superintendent, though his civil service classification was that of working foreman. He began his duties with the Park Department in 1933 and it was during his long service that Grandmother's Garden was developed and became recognized nationwide. The city's approximate 16 acres of park land were under his jurisdiction. It was during his service that the greenhouse off Smith Ave., where flowers are started and grown for transplanting in various park areas, was developed. Mr. Holcomb also was active in the establishment and conduct of the former annual Grandmother's Day in recognition of grandmothers and of Mrs. Mary Steiger, mother of Albert Steiger of the Springfield Department Store. In 1953 during the 17th Grandmother's Day program at Grandmother's Garden, Mr. Holcomb was honored in recognition of his services. Westfield Woman's Club Garden Club department honored Mr. Holcomb last May with an inscribed illustrated book on gardening in appreciation for his helpful services to others. He was a member of First Congregational church and its Men's Club and a member of Mount Moriah Lodge of Masons. Besides his wife, he leaves a son, Lawrence C. Holcomb of Westfield; two daughters, Mrs. Emil R. Lee of Thompsonville, Conn., and Mrs. Harry Sesan of Feeding Hills; a brother, Luman A. Holcomb of Huntington; two sisters, Mrs. Wilfred Liberty of Westfield and Mrs. Clarence Crane of Southwick; eight grandchildren and two great-grandchildren. The funeral will be Sunday afternoon at 2 at Healey funeral home with Rev. Chandler W. Gilbert, pastor of Frist Congregational Church, officiating. Burial will be in New Cemetery, Southwick. Calling hours at the funeral home Saturday are 2 to 4 and 7 to 9. [S25] Hannah McPherson, Holcombe Genealogy, Page 131.1/Item A-8-1-2-8-3-2-1-3. Luman Andros Holcombe married (2) Olive Clark Holcombe, his divorced ex-daughter-in-law. Luman and Anna were enumerated in the 1940 Westfield, Hampden Co., MA, ED 7-183, federal census. His name was written as Luman Holcolm. He was a timekeeper in building construction age 43, she was 42. Children in the household were Vivien 22, Duane 20, and Leila 13. [S25] Hannah McPherson, Holcombe Genealogy, Page 131.1/Item A-8-1-2-8-3-2-1-5. [S182] Social Security Death Index (on-line), Ancestry.com, SSDI, Ancestry.com, SSAN 020-09-2763. Edith Elizabeth Holcombe was born on 13 January 1903 at Southwick, Hampden Co., MA. She was the daughter of George Newton Holcombe and Emma Chloe Dibble. Edith Elizabeth Holcombe died on 20 April 1990 at Westfield, Hampden Co., MA, at age 87. [S25] Hannah McPherson, Holcombe Genealogy, Page 131.1/Item A-8-1-2-8-3-2-1-6. Pearl Etheyln Goss married George Newton Holcombe Jr., son of George Newton Holcombe and Emma Chloe Dibble, on 24 November 1909 at Meriden, CT.
Child of Pearl Etheyln Goss and George Newton Holcombe Jr.
[S182] Social Security Death Index (on-line), Ancestry.com, SSDI, Ancestry.com, SSAN 024-20-8653. Wilfred was recorded in the 1920 Granby census, page 9A, line 35, with A. May and Virgil. Wilfred Liberty was born on 1 October 1892. He was the son of Serge Liberty and Mary Duquette. Wilfred Liberty married Arabelle May Holcombe, daughter of George Newton Holcombe and Emma Chloe Dibble, on 19 February 1914 at Southwick, Hampden Co., MA. Wilfred Liberty died on 22 July 1975 at age 82. Mark and Amy Kosinski spent a lot of time digitizing a scrapbook that Lucia kept: Lucia F. Gleason's Scrapbook. [S182] Social Security Death Index (on-line), Ancestry.com, SSDI, Ancestry.com, SSAN 017-20-2756. 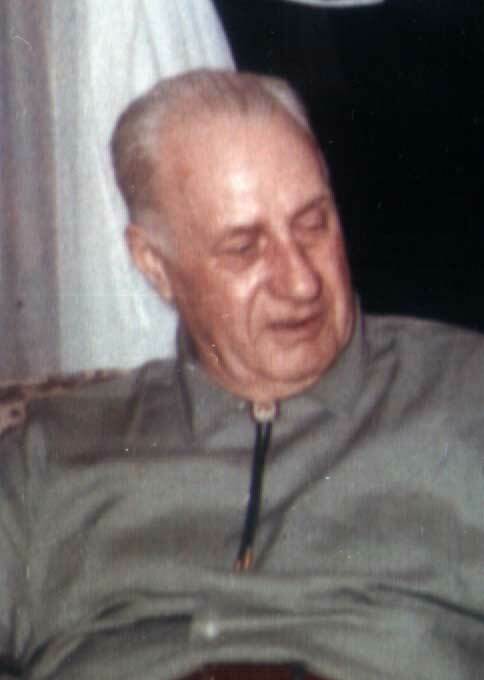 Lawrence Collester Holcombe was born on 1 May 1917 at Southwick, Hampden Co., MA. He was the son of Lawrence Holcombe and Lucia Frances Gleason. Lawrence Collester Holcombe married Mae Elizabeth Marsh on 2 April 1940 at Westfield, Hampden Co., MA. Lawrence Collester Holcombe died on 26 March 2004 at Westfield, Hampden Co., MA, at age 86.1 He was buried on 1 April 2004 at Southwick, Hampden Co., MA. [S182] Social Security Death Index (on-line), Ancestry.com, SSDI, Ancestry.com, SSAN 017-16-4840. Lucia Gleason Holcombe was born on 22 April 1920 at Westfield, MA. She was the daughter of Lawrence Holcombe and Lucia Frances Gleason.